The fast paced life that we lead today makes fast food almost a necessity, and most definitely a convenience. Now that we have become accustomed to instant deliveries, instant messaging and other kinds of instant gratification, how then can we expect to be asked to wait for food? While fast food has been around in America since the first fast food chain, White Castle, was opened in 1921, the increase in the number of fast food chains and deviously delicious (and equally unhealthy) items on the menu is exponential. There are more than 30,000 McDonald’s restaurants, 75,000 Pizza Huts, 11,000 KFC outlets and 11,200 Burger Kings across the world. McDonald’s had sales worth more than $34 million in 2011. Burger King added to the burger deluge with $8.4 million sales figures. With Pizza Hut at $5.5 million and Dunkin Donuts at $6.5 million, one can only imagine the amount of trans fat, sugar and salt getting into American bodies. The concept of taverns for travelers dates back many centuries. However, the idea of eating out for fun became a regular thing only in the 18th century. White Castle is said to be the first fast food chain. They were the driving force in changing public opinion that burgers sold at fairs and circuses were made from scrap meat from slaughter houses. This was done by creating a restaurant where people could see the food being prepared. The king of fast food, McDonald’s opened its first restaurant in 1948. They were the first to operate on a large scale and use assembly line for production of their patties and buns. Taco Bell and Wendy’s opened soon after in 1950 and 1969. 19th century – Invention of the meat grinder that helps in making meat patties. 1892 – Coca Cola was created and launched – the first drink with 9 milligrams of cocaine. 1894 – Newspapers start talking about the hamburger but it was considered to be unsafe and food for the poor. 1919 – A7W Root Beer starts concept of drive ins. 1921 – White Castle opened the first hamburger chain. A&W introduced franchising. 1940’s – Carhops on roller skates started fast food service. Flashier designs were chosen by fast food chains to attract customers. Arby’s was created. 1951 – The word fast food was recognized by the Miriam Webster dictionary. 1965 – Subway was established. 1967 – High fructose corn syrup makes an appearance making customers want to eat more and store more fat. 1970’s – More than $6 billion spent on fast food in America. 1990’s – Car cups started to be installed in new car designs. Hindu vegetarian customers covered Ronald with cowdung when they realized that beef tallow was used to flavor French fries. A 7 mile long car line waited to eat at McDonald’s when it opened for the first time in Kuwait. 21st century – The fast food craze continues despite a whole new revolution against the health hazard it causes. Why are People so Crazy About Fast Food? The origin of fast food as a concept can be linked to the need to get instant gratification or the lack of time. However, one wonders why people have to continue to stuff themselves with unhealthy fast food despite the amount of propaganda against it. Up until now the excessive indulgence in fast foods has always been blamed on the consumer. Inability to control desire and lack of self-control were considered to be the culprits. 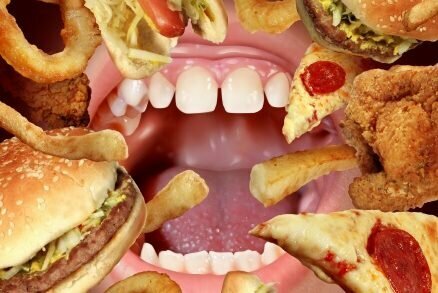 Recent researchers have been studying the addictive nature of fast foods. Based on preliminary studies, they believe that foods high in fat and sugar change the constitution of your body and brain. It is also hypothesized that these foods may actually be able to cause a proper addiction. Binging on large proportions of such high fat – high sugar foods can cause physiological changes too that can suppress hormones that help you understand when to stop eating. For example, leptin secreted by fat cells indicates the fat reserve in the body to the hypothalamus. As obesity rises, the leptin production levels increase. But the ability of the hypothalamus to get activated by these leptin levels reduces. The horrifying aspect of this is that it only takes a few fast food meals to create this imbalance. The concept of sugar junkies is also not alien to us. Even research has shown that rats accustomed to a diet of 25% sugar start to exhibit chattering teeth and shakes when sugar is removed from their diet. We’ve All Heard that Food is Medicine, BUT, It is ALSO Illness! The health hazards of fast food emanate primarily from the trans fat, sodium and sugar content. Add to that the chemical processes used to create these products in bulk and the toxins that get added on the way and we have a perfect recipe for various kinds of ailments. Diabetes – High levels of fast food consumption increase chances of insulin resistance. This in turn increases the chances of developing type 2 diabetes. Heart conditions – Not much needs to be said about the heart issues caused by consumption of saturated fat that is present in abundance in fast foods. Deep fried to make them tasty, almost every fast food contains high levels of saturated fat or trans fat. Cancer – While some may think this is a new one, recent research shows that a very high amount of free radicals enter our system when we consume trans fat or food fried in trans fat repeatedly. A third of the cancers, according to Corporate Accountability International are caused due to poor diet, an offshoot of our addiction to fast foods. Stroke – High sodium content in fast foods leads to high blood pressure, increasing the likelihood of a stroke. 1) Burgers – Not that anyone needs to know but a burger is a sandwich with a ground meat patty placed between the two sides of a bun. Some feel that bread, meat, lettuce, tomatoes and onions are considered healthy and therefore burgers cannot be bad. The reason why people criticize the hamburger so much has to do with the high levels of trans fat that fast burgers contain. Even if you have a regular hamburger with fries and a small soda, the calorie count reaches more than 30 percent of the daily recommended calorie intake. Add in the very high levels of trans fat and you have a formula that leads to obesity, increased risk of high cholesterol and plaque build-up in your heart’s arteries. 2) Donuts – Donuts have been the favorite fast food breakfast of Americans for many years. It is one of the easiest options to pick and carry with you in your car as you rush to the office. These delectable rings are deep fried and bleach starched and are coated with sugar. A simple glazed donut is about 250 calories. The ones with chocolate toppings or custard fillings are worse. Donuts have been criticized for being one of the causes of rise in obesity, heart conditions, diabetes and lack of proper nutrition among Americans. 3) French fries – Any food that's lowered into a vat of liquid fat is unlikely to be good for the body. While these may seem like innocuous potato slices, one should not forget the oodles of trans fat that they are fried in. Trans fat is a chemical process of hydrogenation of vegetable oils that releases a large number of free radicals into the oil. High-temperature cooking (more than 248 degrees Fahrenheit) or frying of starchy foods (like potatoes) produces acrylamide – and consuming high doses of acrylamide has been shown to cause cancer in animals and be toxic to both human and animal nervous systems. The oil-immersion frying technique used – with multiple batches of fries cooked up in the same oil – causes excessive production of these free radicals that have been linked to cellular damage and cancer. Did you know that this same high-temperature cooking of potatoes that creates acrylamide, also produces the tantalizing aroma and flavor of french fries that keeps people coming back for more? This means they should be called “addictive cancer sticks”. And if that’s not enough, almost anything that's deep fried is going to be fat and calorie dense. 4) Pizzas – Not unlike the burger, people tend to justify the choice of a pizza based on the amount of vegetables and meat that they contain. What is overlooked is that these come with oodles of cheese that can get excessive. The amount of salt in a pizza also makes it unhealthy. A REGULAR 12-inch pizza contains more calories, saturated fat and salt than the average person requires over a full day, health experts have warned. Just two slices of pizza can contain salt that equals about half your daily requirement. As a standard, your dietary intake of sodium should not exceed 2,000 milligrams per day. Any excess amount can inhibit the absorption of other nutrients and disrupt normal functions of your body. A diet high in sodium can contribute to high blood pressure, heart failure, osteoporosis, kidney stones, dehydration, edema, ulcers and hormonal and electrolyte imbalance. 5) Fried Chicken – KFC revolutionized the fried chicken industry with its regular and extra crispy fried chicken. While the protein is good, the coating on it is pure carb. And, do I need to repeat the admonishment we discussed about French fries? Foods cooked in highly heated oils (most notably, partially hydrogenated oil) have been known to cause cancer, weight gain and other serious health risks if consumed regularly. You're at greater risk for high blood cholesterol and heart disease if you eat a diet that often includes deep-fried or breaded foods, which are high in fat. Diets high in saturated fat and cholesterol tend to raise both total cholesterol and LDL cholesterol levels. When you fry foods, such as chicken, that already contain saturated fat, you simply add more fat to them. One chicken breast (extra crispy) from Kentucky Fried Chicken has around 490 calories, 31 grams of fat and 7 grams of saturated fat. So unless you want to super size yourself, it's best to make a clean break with fried foods. 6) Nachos and cheese – Nachos consist of corn tortilla chips topped with cheese, then broiled until the cheese melts. Deep fried and coated with what is passed off as cheese, nachos have become a staple for quick snacking or game day. Both cheese and chips each contain a significant amount of fat. Corn tortilla chips contain right around 7 g of fat for 10 chips. Cheese, on the other hand, contains 9 g of fat per ounce. What this means is that a single serving of nachos could easily contain 16 g of fat. Most of the time, however, people load their chips with much more than 1 oz. of cheese, resulting in a snack that contains about 19 g to 30 g of fat. And that's if you stick to only 1 serving – which most of us definitely do not! 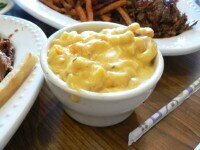 7) Mac and cheese – This favorite food of Americans has a couple of issues. The amount of carbs and cheese contained in one serving is enough for the daily requirements of an entire day. Most people start their macaroni and cheese with a base of cream and butter—a recipe for caloric calamity. And the high-fat content of cheese can contribute to health problems as we’ve discussed here previously. 8) Sodas – We are so mesmerized by this creation that we have forgotten how to drink plain, healthy water. These villains have been linked to obesity (a 500 ml bottle contains about 16 spoonfuls or more of sugar), kidney failure, cancer, hypertension, diabetes, faster aging, hormonal imbalances and even stroke. This is true for the diet versions of sodas too. A recent study tells us that sugar substitutes in diet sodas increased appetite and does not really help with weight loss since the body’s reaction to the sweetener is similar to that of sugar. And, just in case you think that is the only ‘UGH’ of diet soda, stop right there! 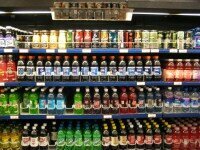 There’s a great article at NaturallySavvy about how aspartame is made. Did you know it’s made from… wait for it… POOP? I kid you not! Read all about the Artificial Sweetener Aspartame at NaturallySavvy. You may never look at a diet soda the same again! 9) Croissants – Lovers of these breads console themselves by thinking that they are not consuming the deep fried and sugar-coated cousin, the donut. However, croissants are no better. Did you know that an estimated 80% of us are eating far more saturated fat than the recommended 20g per day for women and 30g per day for men? That means a woman could consume her entire daily intake in just a single croissant (20g of saturated fat). Saturated fat – that evil villain of both junk and fast food – raises the ‘bad' LDL cholesterol levels, which can then form fatty deposits in the arteries and increase the risk of cardiovascular disease. If that’s not bad enough, remember our friend Mr. Sodium? A large 2 1/2 ounce croissant contains more than 230 milligrams of sodium. 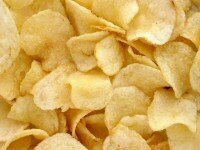 10) Chips – Easy and convenient to consume, a pack of chips is generally more than 500 calories. Excessively high in salt and deep fried, one can hardly rationalize consuming them for the potato in them. Despite the prevalence of fast food, there is thankfully some awareness of the health hazards that these foods cause. Large fast food chains have been forced to offer healthier options as well. However, the only way in which you can really eat healthy is to know your food and the manner in which it is made. Remember, a Subway sandwich with cheese and oodles of mayonnaise can hardly be considered healthy. You can choose healthier options by opting for grilled instead of crispy fried chicken. Lose the mayonnaise and pick a healthier sauce. Pick wheat bread or multi-grain bread options wherever and whenever you can. Pick smaller serving options and do not get lured by the pricing strategy of fast food companies. In most cases the small size will be good enough for 2 servings and therefore there is hardly any need for a larger size. If the serving size is too large, cut the sandwich or burger in half and ask for one half to be packed as a take away.